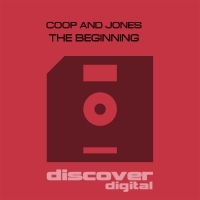 Coop and Jones debut on the production circuit with this huge driving uplifter that packs loads of punch and puts into practice exactly the style that the talented DJ duo play on their numerous gigs at the likes of Remedy and Elevation Audio. An impressive debut and we look forward to more to come. 'The Beginning' is available now from Beatport and iTunes.